Happy birthday, Faye Kellerman; Steven Womack. Two mystery authors with the same birthday: Faye Kellerman, creator of Peter Decker and Rina Lazarus, turns 56 today; her latest work is The Mercedes Coffin (due out August 12). Nashville native and Edgar winner Steve Womack also is 56 today; his most recent novel is By Blood Written (2005), and he's also written America's Favorite Pastime: The History of Baseball (2008), which seems to be in audio format only. New history of the FBI. Yale University Press published this month The FBI: A History by Rhodri Jeffreys-Jones to coincide with what is considered to be the bureau's centenary (although Jeffreys-Jones asserts that its roots lie in the early 1870s, when the Ku Klux Klan began to act against black voters and the Department of Justice employed Secret Service agents as essentially fledgling FBI agents against the Klan). NPR convened a panel on the FBI, including Jeffreys-Jones, for its program On Point; here also is a podcast with Jeffreys-Jones from the press. Maine library in ashes; help rebuild it. The Bangor Daily News reported that the Swan's Island Library, which was on the National Register of Historic Places, burned to the ground on July 24th after a lightning strike; all of its books and historical collections are gone or badly damaged. Plans are underway to rebuild; go here to learn how to support the effort. Happy birthday, Bill Crider; Kenneth Fearing; Beatrix Potter. Bill Crider, creator of Sheriff Dan Rhodes, turns 67 today; poet Kenneth Fearing, best known in the mystery world for The Big Clock (1946; films 1948, 1987) and the subject of catty comments by Bennett Cerf in Dear Donald, Dear Bennett (2002), was born today in Oak Park, Illinois, in 1902; and beloved children's author Beatrix Potter, who appears as a sleuth in a series by Susan Wittig Albert, was born today in Kensington in 1866. Happy birthday, Jack Higgins; Gillian Roberts. Thriller author Harry Patterson, who also goes by the pseudonyms Jack Higgins, James Graham, Martin Fallon, and Hugh Marlowe, turns 79 today; Anthony winner and Amanda Pepper creator Gillian Roberts, who is also known by her real name, Judith Greber, turns 69 today. Roberts, I once wrote in a Mystery Scene review, is a "diamond in the mystery world who consistently sparkles." Higgins's latest novel is The Killing Ground (with frequent protagonist Sean Dillon); Roberts's latest book is All's Well That Ends (the last Pepper mystery--sniff). Early Mike Wallace interviews now online. 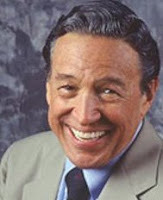 Via UT-Austin's Harry Ransom Center, you can now watch and listen to interviews conducted by Mike Wallace between 1957 and 1960 for the program The Mike Wallace Interview. Subjects include Steve Allen, Pearl Buck, Random House publisher Bennett Cerf, famed pitcher Bob Feller, Aldous Huxley, Eleanor Roosevelt, Margaret Sanger, Peter Ustinov, Frank Lloyd Wright, and 12-year-old game show winner Leonard Ross. Where Harry Stephen Keeler got his ideas (such as they were). Among the contributions Keeler gave us the never-to-be forgotten "flying strangler baby," a murderous midget disguised as an infant (see X. Jones--of Scotland Yard). For more pearls(?) from the Keeler oeuvre, check out the Harry Stephen Keeler Society Web site, including the "Random Keeler Plot Generator" and the winners(?) of the "Imitate Keeler Competition." 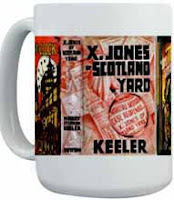 About the photo: Keeler Society mug featuring Keeler dustjackets. Duncan Hines (yes, of cake mix fame, but he was a critic before he began endorsing products) benefited from the services of so-called "dinner detectives" for his book Adventures in Good Eating (1936; several subsequent editions). These were a number of friends and colleagues who volunteered to keep tabs on the recommended restaurants listed in Hines's book and report back to Hines as well as suggest new restaurants for inclusion in subsequent editions. The dinner detectives included Forrest A. MacGibbon of Marshall Field; Frank J. Wiffle, secretary of the National Restaurant Association; broadcaster Mary Margaret McBride; and Metropolitan Opera star Lawrence Tibbett. See Louis Hatchett's Duncan Hines: The Man Behind the Cake Mix (2001) for further details (pp. 60-61). About the photo: Celebrated baritone and dinner detective Lawrence Tibbett. Library of Congress, Prints and Photographs Division reproduction number LC-DIG-ggbain-36506. Rex Stout's picks, best detective tales. A 1930s mystery from U Hawai'i Press. I generally cheer when I see university presses publishing mystery fiction (such as University of New Mexico Press reprinting Walter Satterthwait). Now the University of Hawai'i Press has published Murder Casts a Shadow, the first mystery novel of playwright Victoria Nalani Kneubuhl. In it, a newspaper reporter and a playwright, both of Polynesian descent, attempt to recover a missing painting of King Kalakaua and solve a series of murders in 1930s Honolulu. Agatha Christie, John Harvey this week on BBC Radio 7. Agatha Christie's Murder at the Vicarage (1930) and John Harvey's Wasted Years (1993) are featured this week on BBC Radio 7. The narrator for Wasted Years is Philip Jackson, the memorable Inspector Japp opposite David Suchet's Poirot. Go here for this week's schedule. Thirty-nine years ago today, Neil Armstrong stepped on the moon. There's various info about Apollo 11 here. Also check out Purdue's Alumni Astronauts collection, including coverage of its presentation of an honorary doctorate of engineering to Armstrong in 1970. Podcast: A cold case in Michigan. This month's podcast from the University of Michigan Press features Mardi Link, author of When Evil Came to Good Hart, which focuses on a 1968 unsolved murder case in a northern Michigan resort town. Go here for the podcast (MP3 file). Woodrow Wilson, 28th president of the United States, was quite the mystery fan. "I read detective stories to forget," he wrote to Nancy Saunders Toy in December 1914, "as a man would get drunk!" He added in Eugene C. Brooks's Woodrow Wilson as President (1916), “There are blessed intervals when I forget by one means or another that I am President of the United States. One means by which I forget is to get a rattling good detective story, get after some imaginary offender and chase him all over…” (530). Authors and works mentioned by scholars as Wilson favorites include Joseph Smith Fletcher, Mary Roberts Rinehart, and E. Phillips Oppenheim's The Great Impersonation (1920). Wrote Christopher Morley in The Ironing Board (1949), “I remember Mr. Wilson, after leaving the White House, telling me he couldn’t find enough really readable detective stories. So I sent him my precious Fugitive Sleuth [by Hulbert Footner]” (168). Georgia Writers Hall of Fame. Organized by the libraries of the University of Georgia, the Georgia Writers Hall of Fame honors that state's most influential writers. Potential selectees must be a native of Georgia or have produced a significant work while residing in Georgia. Members of the public may nominate individuals here; past suggestions for nominees include Mignon F. Ballard (Augusta Goodnight series) and Virginia Lanier (Anthony winner, Death in Bloodhound Red). Although some members may seem to be givens (e.g., Erskine Caldwell, Carson McCullers, Alice Walker), I was pleased to see journalist and mystery author Celestine Sibley (The Malignant Heart, A Plague of Kinfolks, etc.) and historical novelist Frank Yerby (The Foxes of Harrow, etc.) as part of the roster. 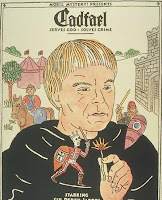 Part of the Colorado State University Libraries' International Poster Collection is this one, seen at left, for the Cadfael PBS Mystery! series (based, of course, on the novels by Ellis Peters). For further details on the poster and its artist, Seymour Chwast, go here. Julie Smith on NPR's Morning Edition. Nice piece on Julie Smith, Skip Langdon, and New Orleans on today's Morning Edition, as NPR continues its "Crime in the City" series. 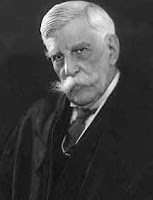 – Justice Oliver Wendell Holmes Jr. to Frederick Pollock, August 16, 1931, The Essential Holmes, ed. Richard Posner (Chicago: U of Chicago P, 1992) 19. – Justice Oliver Wendell Holmes Jr. (commenting on Theodore Dreiser) to Felix Frankfurter, November 12, 1932, Holmes and Frankfurter: Their Correspondence, 1912–1934, ed. Robert M. Mennell and Christine L. Compson (Hanover: UP of New England, 1996) 273. Labels: E. Phillips Oppenheim, Felix Frankfurter, Frederick Pollock, Oliver Wendell Holmes Jr.
Father Brown, Sexton Blake on BBC Radio7. This week on BBC Radio 7: Discussions of G. K. Chesterton's Father Brown and the "poor man's Sherlock Holmes," Sexton Blake, as well as a dramatization of Chesterton's "The Absence of Mr. Glass" (1912). Go here for this week's schedule. For more things Chesterton, see the blog of the American Chesterton Society. Whitlock Reissues Mary Elizabeth Braddon. Small press Whitlock Publishing has reprinted Mary Elizabeth Braddon's Wyllard's Weird (1885) in which a girl's fall from a train may be something more than suicide. The brainchild of Alfred University professor Allen Grove, Whitlock Publishing specializes in affordable editions of eighteenth- and nineteenth-century literature. It's hard to resist a publisher whose staff, its Web site admits, "works for pocket lint." Braddon (1835-1915), best known for Lady Audley's Secret (1862), produced more than 80 books during her lifetime. At her death, she left an estate worth about $340,000, computed in 2007 dollars at ca. $6.4 million. Because much of her work has been difficult to obtain or has been out of print (Valancourt Books has recently reissued Braddon's Thou Art the Man , and Whitlock plans an edition of Braddon's A Strange World ), Grove's efforts should be applauded. "During a period when Ethel Barrymore was recuperating from illness, the actress's nurse came to Biblo and Tannen every week to stock up on detective stories. The nurse bought a dozen mysteries at a time." -- Marvin Mondlin and Roy Meador, Book Row: An Anecdotal and Pictorial History of the Antiquarian Book Trade (New York: Carroll, 2006), 167. "I read Poe, too, and I still think that 'The Gold Bug' and "The Murders in the Rue Morgue" are the best of all the classic detective stories. Poe's own tragic story always fascinated me. There was no happiness for him anywhere. I have always thought that he, too, was born under a dark star" (62). Valancourt reissues The Fate of Fenella (writ. Conan Doyle, Stoker, et al.). The Fate of Fenella (1892), a round-robin novel of murder and mesmerism that features chapters by Arthur Conan Doyle, Bram Stoker, Florence Marryat, Frances Eleanor Trollope, and other Victorian writers, has recently been reissued by Valancourt Books. Comic playwright-author Jean Kerr, best known for Please Don't Eat the Daisies (1957; film 1960; TV series 1965-67), was born today in Scranton, Pennsylvania, in 1922. She, along with her husband, drama critic Walter Kerr, are believed to be the models for the couple in Ira Levin's Critic's Choice (1960). She died in 2003. Otr.net offers various episodes of Information, Please (moderated by Clifton Fadiman) with Basil Rathbone (September 27, 1938), Rex Stout (March 28, 1939), Baker Street Irregulars founder Christopher Morley (September 18, 1942; October 30, 1942; June 21, 1943), and Alfred Hitchcock (January 22, 1943). Go here to listen (need Real Player). Just in time for summer reading: The University of California-Berkeley's Bancroft Library has posted an extensive "Golden Gate Mysteries: A Bibliography of Crime Fiction Set in the San Francisco Bay Area." There's also a neat extra, "The Big Shake: The 1906 San Francisco Earthquake in Mystery Fiction." Wondering why the Confederate flag has 13, rather than 11, stars? You can find out here, as well as find answers to other questions and pose your own historical question. 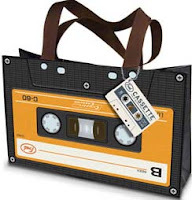 Brilliance, Hachette end audiobook cassettes. Within the Library Journal coverage of the 2008 ALA Conference was Raya Kuzyk's report that both Brilliance and Hachette are ending the cassette format for their audiobooks. According to 2007 statistics from the Audio Publishers Association, 77 percent of audiobook sales were on CD, 7 percent on cassette, 1 percent via MP3, and 14 percent via download. Speaking as the owner of a car with a cassette player (no, not an 8-track; my car is not that old), I had thought my audiobook choices were becoming more limited. Journalist Anthony Berkeley Cox, who wrote as Anthony Berkeley and Francis Iles, was born today in Watford, UK, in 1893. Cox, a founder of the Detection Club, created sleuths Ambrose Chitterwick and Roger Sheringham, and his work includes The Poisoned Chocolates Case (1929), Before the Fact (1932; adapted as the Hitchcock film Suspicion), and Trial and Error (1937; adapted as the film Flight from Destiny). 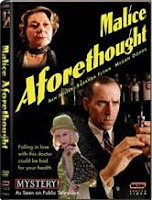 The Iles novel Malice Aforethought (1931), in which a downtrodden doctor plots nefarious doings, appeared on PBS's Mystery! in 2006. The UK's Telegraph reports that private detectives were employed by the Norfolk County Council to find people with overdue library books, DVDs, and CDs. 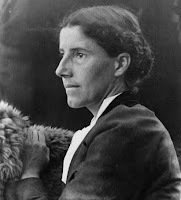 Feminist author Charlotte Perkins Gilman, best known for her chilling autobiographical story "The Yellow Wall-Paper" (1892), was born today in Hartford in 1860. The great-niece of Uncle Tom's Cabin author Harriet Beecher Stowe, Gilman also wrote a single mystery novel, Unpunished (written in 1927, finally published in 1997 by Feminist Press), which I discussed in Jim Huang's They Died in Vain: Overlooked, Underappreciated, and Forgotten Mystery Novels (2002). As to the reason Unpunished was not published in Gilman's lifetime (she committed suicide in 1935, due to breast cancer), consider this publisher's assessment: "I find your characters interesting. That is not necessary in a detective story." The Room 26 Cabinet of Curiosities of Yale's Beinecke Library Rare Books and Manuscripts offers The Book of Accidents: Designed for Young Children (1831). Amid the somewhat macabre advisories on unfortunate occurrences to the young ("Tossed by a Bull," "Falling Out of a Coach") are the still (and sadly) relevant ("Playing with Fire-Arms," "A Boy Drowning"). You can read the entire book online here. About the photo: Illustration from "Playing with Fire-Arms," The Book of Accidents (New Haven, 1831). Rare Books and Manuscripts, Beinecke Library, Yale University. Happy birthday, James M. Cain. Former New Yorker staffer and ex-newspaperman James Mallahan Cain was born today in Annapolis in 1892. Author of iconic hard-boiled works such as Mildred Pierce (1941), Love's Lovely Counterfeit (1942), and Double Indemnity (1943), Cain is an inspiration to older writers (his first novel, The Postman Always Rings Twice , was not published until he was 41). See my earlier post on Cain at Thanksgiving from James Thurber's The Years with Ross. Go here to listen to a radio production of Love's Lovely Counterfeit with Humphrey Bogart.